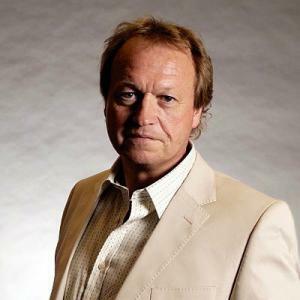 Mark King was born on 20 October 1958, in Cowes, Isle of Wight, England, and is a musician, best known to be part of the band Level 42 as the bassist and lead singer. He has helped popularize playing the bass using slap style, but all of his efforts have helped put his net worth to where it is today. How rich is Mark King? As of early-2017, sources estimate a net worth that is at $16 million, mostly earned through a successful career in the music industry. Aside from Level 42, he’s also had a lot of solo work, plus numerous collaborations. As he continues his career it is expected that his wealth will continue to increase. At a young age, Mark’s father bought him a drum kit, and so he aspired to be a drummer. At the age of 11, he started learning the guitar, and would then meet future bandmate Phil Gould whom he considered a drum rival during that time. He attended Cowes High School but was asked to leave school after wearing denim jeans in class. He would then go and work several jobs, and at 19 moved to London to pursue a career in music. He played drums for the band Re-Flex and would then transition to bass guitar. His net worth was established. In 1979, Mark formed Level 42 with Phil Gould, Mike Lindup, and Boon Gould. He would also start playing the bass as he worked for Macaris which didn’t have any drum options. During one of their first gigs they were discovered by Andy Sojka, who would invite them to sign with the small independent label called Elite. The following year, they signed to Polydor and would go on and make albums for the label during the next nine years, also touring extensively while under contract with Polydor. In 1981, they released their first Top 40 single entitled “Love Games” which led to an appearances on BBC TV’s “Top of the Pops”. King found himself being sought after by numerous bands due to his distinct bass playing style, and appeared on the Nik Kershaw album “The Riddle” and the Midge Ure album “The Gift”. In the same year, Level 42 supported The Police on tour as well as tours by Queen and Madonna. They continue to be active, releasing an album in 2006 entitled “Retroglide”. They also went on tour in 2008. Aside from his work with Level 42, King has had a very successful solo career, starting with his 1984 album “Influences”. This was followed up by “One Man”, and in 1999 he released a collection of unused songs entitled “Trash” which proved successful, and led to King producing a lot of live recordings. Mark continues performing with Level 42 as a frontman, and they usually perform in various festivals. For his personal life, it is known that Mark was married to Pia, but they divorced in 1990. The couple had three children and it is known that King previously owned a pub called “Joe Daflo’s”. The pub was sold in 2000 and it has become a franchise in England. He is now married to Ria and they have a daughter. Aside from these, King is a supporter of The Prince’s Trust and is a tourism ambassador of Isle of Wight. 1 As I always say to any aspiring student, just play as much as you can with as many people as you can. You may not always like the songs or the music - if you go from playing 'The Gay Gordons' to a swinging little quickstep, to a Stevie Wonder track, to doing 'River Deep, Mountain High', to a Beatles song, to a waltz, half the time you're thinking 'I can't stand this stuff', but what's happening is you're exponentially broadening your horizons. You become such a well-rounded player. 2 Over the years, when parents have asked me about their kids wanting to play an instrument, I always say buy the best one you can afford. If it doesn't work out, and you flog it, you get your money back. A good instrument is also much easier to play and sounds good. If you start off with a clunker that's impossible to play, the kid will get disheartened, and you'll have wasted your money. For me, it's just good insurance. You either spend £50 and waste the £50, or spend £150 and you'll get £130 back. 5 Level 42 was valid and had a purpose and I'm chuffed with what we did in the eighties but if we came back now it wouldn't be as good. It would just be like a museum piece. It can never be the same so why do it? 2 He was originally a drummer but adopted the bass guitar as his primary instrument in 1979. 3 Although Level 42 never achieved a British number one single (1986's "Lessons in Love" was their highest placing, reaching number three), King does appear on the number one single "If I Was" by Midge Ure (on which he played bass). 4 Appeared as a carnival master-like Phantom Of The Video in the music video "Something About You" by Level 42. 5 Lives on the Isle of Wight. 6 Is known for his slap and pop bass playing. 7 Is the bassist and lead singer for Level 42. Grand Theft Auto IV: The Ballad of Gay Tony 2009 Video Game writer: "Something About You"
Karaoke Revolution Presents: American Idol Encore 2008 Video Game writer: "Lips Of An Angel"
Stuck in the Middle 2003 Video writer: "Something About You"
Eye for an Eye 1996 "Bitter Moon" / performer: "Bitter Moon"
Hot Pursuit 1987 writer: "Lessons in Love"